A roaring, supernatural adventure that spans New York, and the globe! After their parents' plane goes down over the ocean, Leo and his brother Hollis are forced into the custody of their rich and enigmatic uncle Crane, a dealer of rare and probably illicit antiques. But almost as soon as he's settled--or as close to settled as he can get in the bleak Brooklyn mansion, surrounded by his uncle's dubious staff--Leo receives a mysterious package his father put together long ago, to be opened on his 13th birthday. With the package, Leo discovers he has an amazing ability. He can hear the history of any object by touching it. But when Leo finds a strange helmet buried among his uncle's artifacts, and hears a pained cry coming from it, a mystery unravels as to its origin. 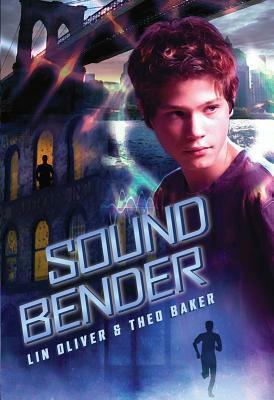 Theo Baker has had a lifelong fascination with sound. Wizened in Santa Barbara and toughened by New York, Theo has worked as a record producer, a music journalist, a sound designer, and a court reporter, amongst other odd jobs. He lives in Los Angeles, California.